Takrut Pump Phor Than Lek Wat Ariyakiri. The best from Phor Than Lek. Somdej Garuda Boran Luang Phor Parn Wat Bang Nom Kho BE245x. Black color is rare. At bottom with holy Phong Whisek. Other material such as magical herbs, pollen, holy powder from past gurus, 5 great powders (Phong Putthakhun, Itichy, Tri-singhe, Maharaj, Putthamang) which same as material used by Somdej Archan Toh, Somdej Pilan & Somdej Luang Phor Phoo Wat Inn. It won No2 Placing in Thailand Nakhon Pathom Grand Amulet Competition on 12th February 2017. Attached with Gold waterproof casing. First Batch Lersi Roon Metta Baramee Kruba Oar Wat PhraThad Doi Jom Wai BE2558. Nur Thongdeang, made 108 pieces only. Serial Number 101. Made for Kruba Oar 100 Years Old Birthday. Luang Phor Thuad Phim Yai Wat Muang Yala BE2505. Brown Herb, niyom and rare. It won No1 Placing in Thailand Amulet Competition in year 2013. It won No3 Placing in Thailand ChaengWattana Grand Amulet Competition on 4th October 2015. Lastly it won No4 Placing in Thailand Rayong Grand Amulet Competition on 29th November 2015. In BE2505, Archan Yim Apatharoh of Wat Muang, having strong faith in the virtues of Luang Phor Thuad, came up with the wish to create a batch of Luang Phor Thuad amulets. In order to learn the methods of creating efficacious Luang Phor Thuad amulets, Archan Yim went on a pilgrimage to the south to become a disciple of Archan Tim Wat Changhai. While he was studying with Archan Tim, he had the vision of creating a large-sized statue of Luang Phor Thuad to be placed in Wat Muang in order for people to pay respects along with the amulets for people to wear and carry. In order to accomplish this task, he invited Archan Tim to come to Wat Muang to help him manage this project and Archan Tim gladly agreed. 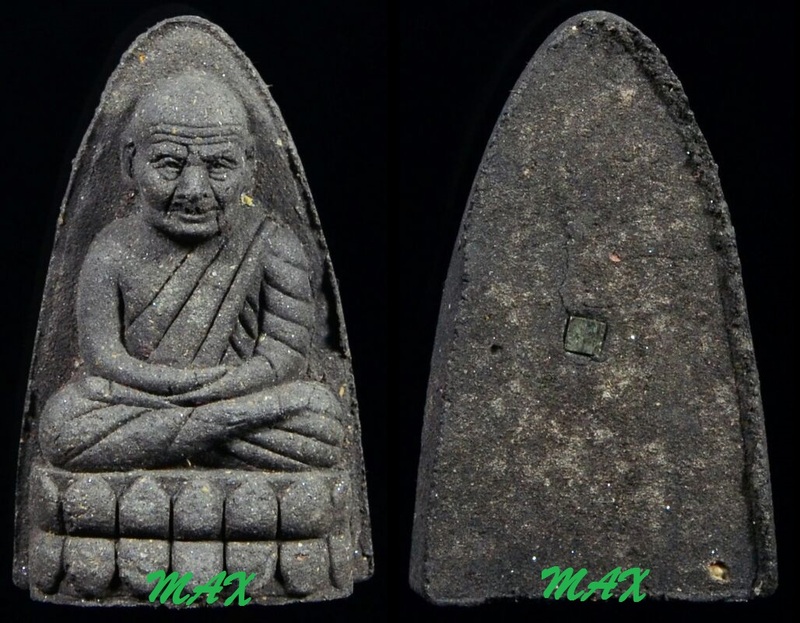 The task of pressing the amulets using the mould started from Khao Phansa BE2505 under the supervision of Archan Tim Wat Changhai. All monks, novices and Kammakan of Wat Muang took part in the creation of the amulets throughout the 3 month Phansa period. A total of 84,000 pieces of herb amulets and 1000 pieces of medals were created. The consecration ceremony was held for 3 consecutive days on 18-20 October BE2505. Archn Tim performed the ceremony to invite the spirit of Luang Phor Thuad to descend upon the ceremony to confer blessings on the amulets. Besides that, many of the top monks of the period came to participate in the chanting as well. The total number was around 30-40 and the properties and scale of the ceremony was on par with those of Wat Changhai at that time. 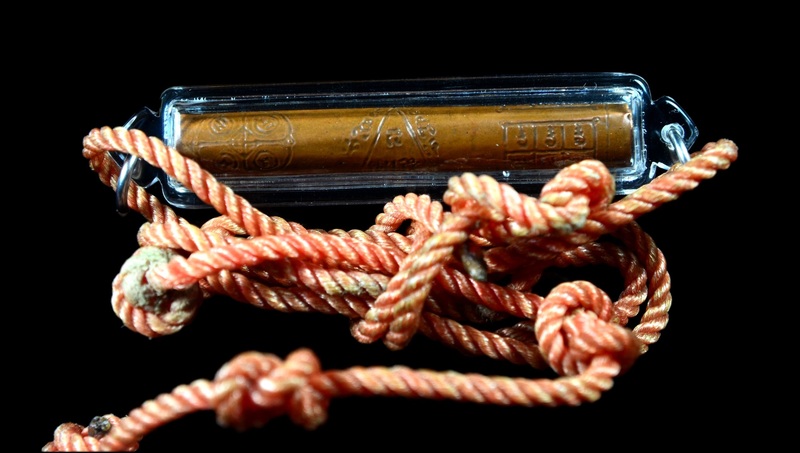 The creation of this batch of amulets was under the direction and supervision of Archan Tim Wat Changhai right from the start till the end of the consecration. Luang Phor Thuad Roon Har Chek Luang Phor Daeng Wat Simahapo BE2538. Herb material with a pinatang at the back. Very good and unworn condition. The incident happened with 2 gunmen attempted to rob a bank and they tried to fire 5 shots at the bank employee but the gun failed to fire. The bank employee was wearing this Luang Phor Thuad during that incident. Har means 5 and Chek means gun trigger sound effect. First Batch Khunpaen Phim Yai Luang Phor Sin Wat Lahanyai BE2549. Made 4,798 pieces only. First Batch Rian lang Chadana Pran Phor Than Seng Wat Ban Trang BE2556. Nawa material, made 295 pieces only. Serial Number 89. First batch Pidta Chao Khun Chan Wat Uttamaram BE250x. Nur wahn. Attached with Silver Longya Waterproof casing.